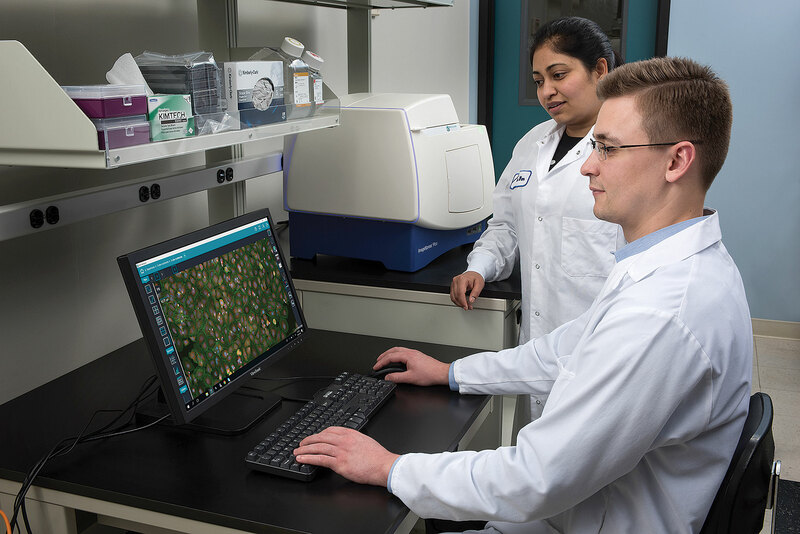 Molecular Devices’ ImageXpress® Pico Automated Cell Imaging System incorporates image analysis software that enables icon-driven workflows. The system’s preconfigured templates are optimized to automatically determine critical information for various cell-based assays. Additional capabilities include environmental control and z-stack acquisition. Sometimes it’s a mistake that leads to the greatest success, as Molecular Devices learned. The company’s microplate reader was dropped just minutes before it was to be evaluated for whether it could be used aboard the International Space Station. Despite the drop, the instrument stayed in working order, showing that it was robust enough to be worthy of closer scrutiny. Ultimately, the instrument withstood the rigorous low-gravity, vibration, and high-G-force testing required to qualify for a trip into space. Since then, the company’s SpectraMax M5e Multi-Mode Microplate Reader has been launched into space twice. Currently, it is running a multitude of science experiences in orbit on the space station. Supplying the first and so far the only microplate reader in space is one of many firsts for Molecular Devices, says Greg Milosevich, the company’s president. Founded by Stanford University researchers in 1983, Molecular Devices developed the first kinetic, real-time microplate reader, the first high-throughput GPCR screening platform for molecules, and the first low-noise conventional electrophysiology device. At the beginning, though, developing a microtiter plate reader wasn’t the goal. Instead, company co-founder and noted Stanford chemistry professor Harden McConnell, PhD, was pursuing something different. That concept failed, but McConnell realized, Milosevich says, that “the microplate reader his team had created could be a commercial product. It had a viable market.” Today, that market is worth some $450 million annually. Now, Molecular Devices creates a range of technologies that help biotech, pharmaceutical, and academic customers screen libraries for potential drug candidates. It boasts more than 140,000 product installations and more than 200,000 literature citations. “We focus on supporting protein- and cell-based research,” Milosevich notes. 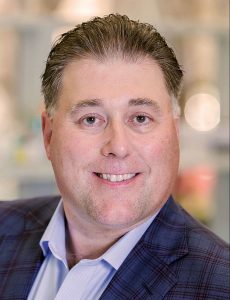 Molecular Devices has grown by a combination of strategic acquisitions, partnerships, and innovations, including some within its parent organization, Danaher. A recent example is Molecular Devices’ 2018 assimilation of FortéBio, a division of Pall, which was acquired by Danaher in 2013. “It is the synthesis of Pall’s label-free screening solutions and our cell-line selection platforms,” Milosevich emphasizes. The result of this intra-corporate combination aims to speed drug candidate selection and the optimization of conditions enabling large-scale manufacturing of drug molecules. FortéBio does not need to build a name or reputation—a challenge for most startups. The business has been around several years as a Pall brand. “With just over $100 million in revenue and 250 employees, this is one of the fastest-growing businesses in Molecular Devices,” Milosevich points out. FortéBio’s objective is to significantly enhance the speed and efficiency of early-stage biologics drug development. Its automation group, called Advanced Workflow Engineering Solutions (AWES), does this by focusing on lab equipment integration. “This shortens the time to lead candidate identification by several months,” Milosevich asserts. The AWES team helps customers automate, customize, and integrate their workflow processes for greater efficiency. ForteBio’s goal is to provide one point of interaction for sales, service, and support. The workflow solutions team is brand agnostic. “AWES engages with customers early on, from a biology perspective. We build and automate workflow steps, integrate our instruments with those of third parties, and bring in software solutions to smooth the information flow,” he explains. This relieves the lab of burden of getting equipment to work well with other tools. A conversation with Milosevich about Molecular Devices is peppered with admitted clichés. Chief among them is, “Our commitment is to our customers.” Milosevich, unlike many, backs up that claim with details. “We have more application scientists than account managers,” he declares. “We have a technical support team with PhD-level scientists.” Although many companies have outsourced tech support, he continues, there’s no substitute for having PhDs directly supporting customers. From a strictly financial viewpoint, that may not be perceived as the best use of a PhD, but Milosevich doesn’t see it that way. “We overinvest in creating a great environment for our associates and customers,” he insists. Long-term, this builds a scientifically savvy team that’s better able to help customers advance their work and helps Molecular Devices build a strong company. The lack of application integration and workflow optimization increases the complexity of drug development, which slows time to market. That’s challenging for any drug developer, but it is particularly troublesome for biologics developers because of the poor interoperability and state of automation among biologics equipment platforms, as well as the need to optimize assays. By supporting instrument integration, Molecular Devices believes it can “help customers cut time to market in half,” Milosevich says. The company’s more than 300 patents provide a broad foundation in cell and protein biology that has supported a variety of solutions in multiple different workflows. In 2018, Molecular Devices launched five new products—two in December. The latest releases include an environmental option for the personal imager, ImageXpress® Pico Automated Cell Imaging System, so users can control humidity and monitor gases in real time while imaging multiple Z stacks. The other release, SoftMax® Pro 7.1 GxP Software, expands the audit trail functionality and validation tools for the company’s plate readers, providing FDA 21 CFR Part 11 compliance in GMP/GLP lab environments. “We’re not at the same scope and scale as large companies,” Milosevich admits. Therefore, Molecular Devices strives for high levels of customer interaction, helping commercial customers advance drug discovery, and academic customers publish research. Engaging with customers generates better feedback that identifies unmet needs and leads to incremental improvements as well as new products. “We’re sensitive to customers’ investments,” Milosevich relates. Therefore, the company’s upgrade path for new and existing customers includes trade-ins. Strategic acquisitions and partnerships are important, too. “We have active in- and out-licensing programs, and we acquire companies that can solve a workflow gap or strategic need,” he details.